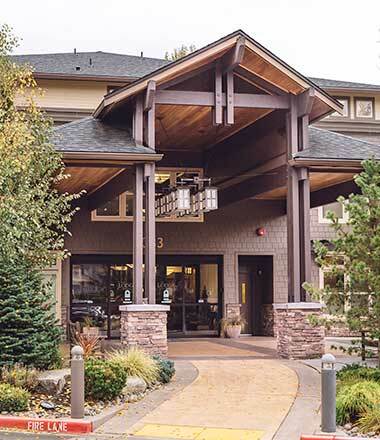 The Lodge at Mallard’s Landing offers a supportive and inspiring environment for those seeking a senior living community. We strive to provide flexible, customized on-site care, in an effort to exceed expectations. Our goal is to bring the utmost joy and happiness to everyone we have the pleasure of serving. Set on the gorgeous backdrop of Gig Harbor, Washington’s dense evergreens and surrounding bay, The Lodge’s campus lends itself to effortless beauty year-round. That, combined with upscale amenities and friendly team members, make this close-knit community truly unique. With a variety of senior care options, we are confident that we are a perfect fit for you. For seniors seeking an independent option within a supportive community. For seniors seeking varied levels of assistance in their daily lives. For seniors seeking memory care support, with 24-hour care options available. For seniors seeking a temporary “home away from home”.